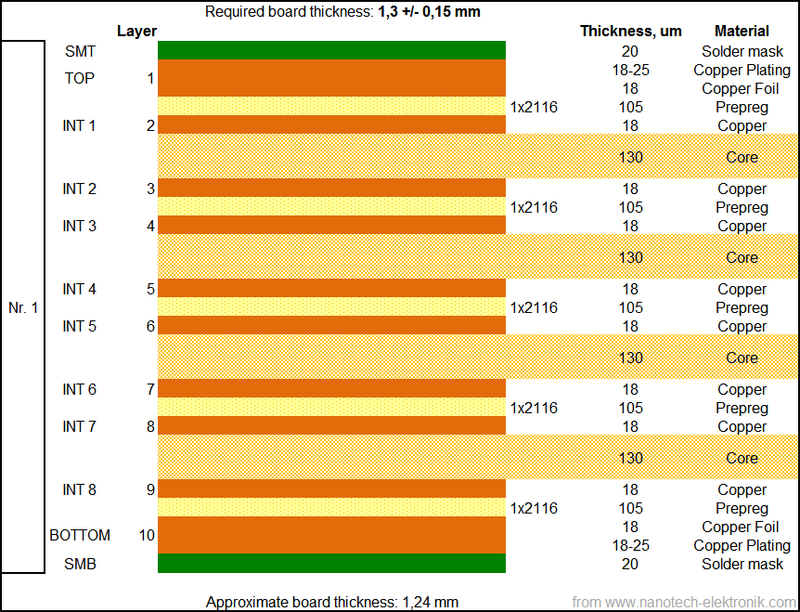 In order to properly design the multi-layer printed circuit board, one should carefully consider the design of the layer stack-up. 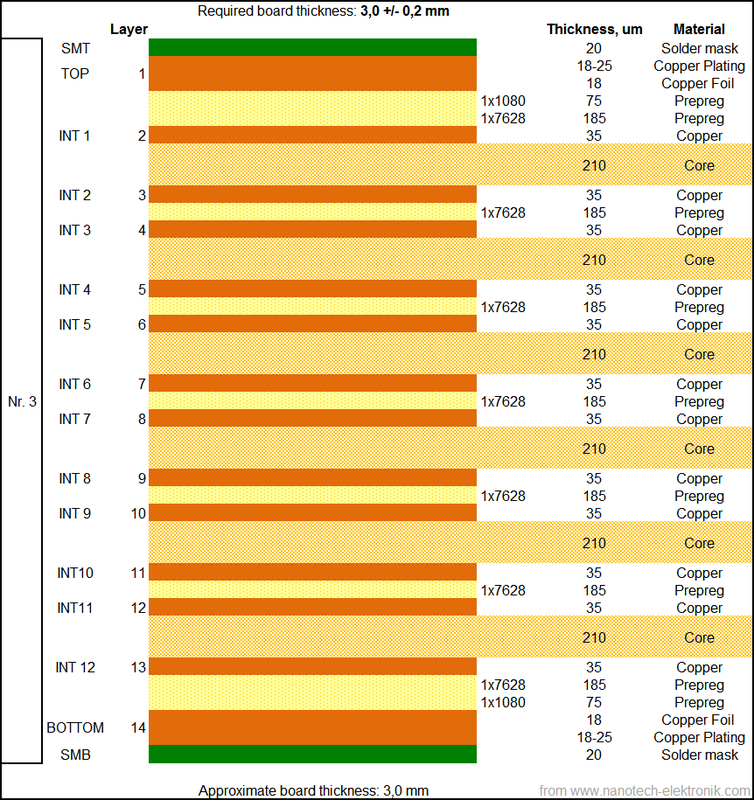 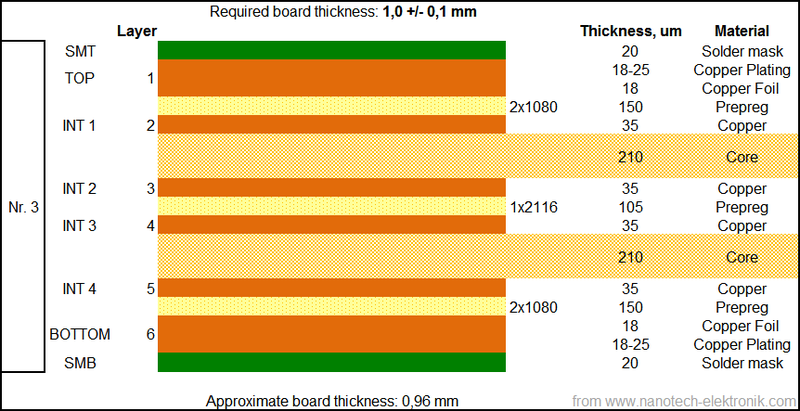 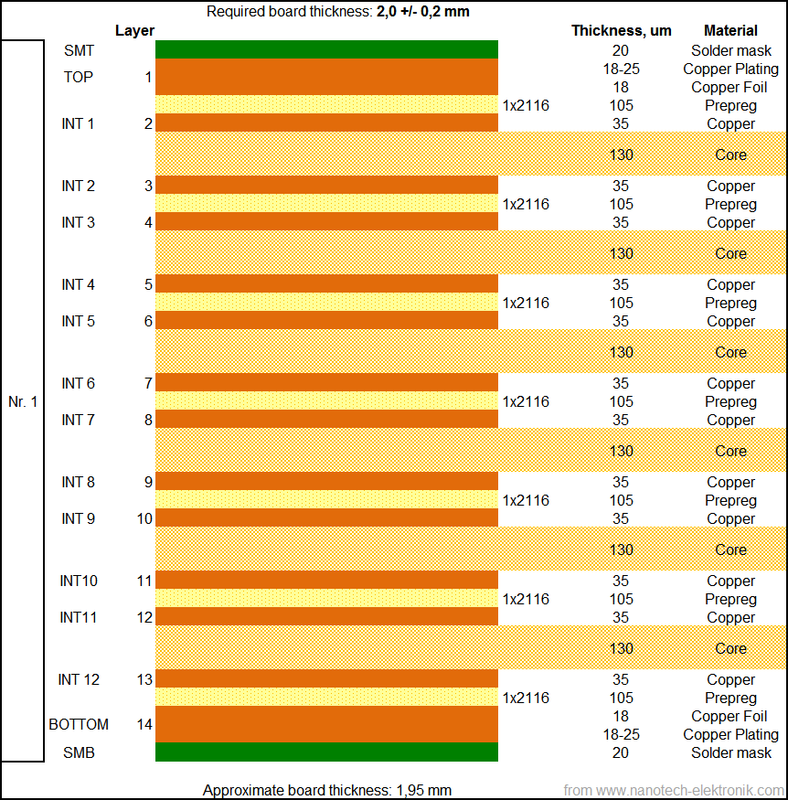 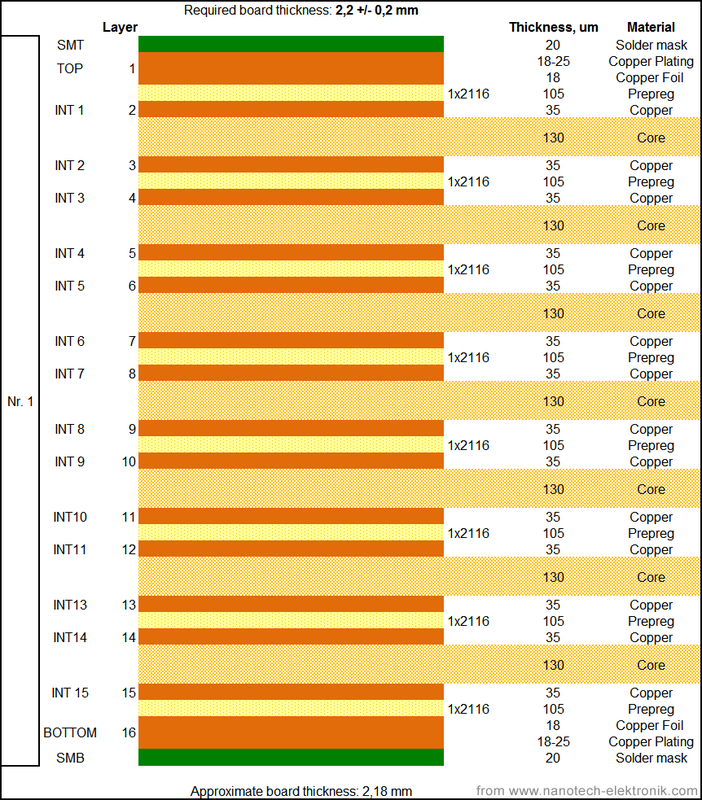 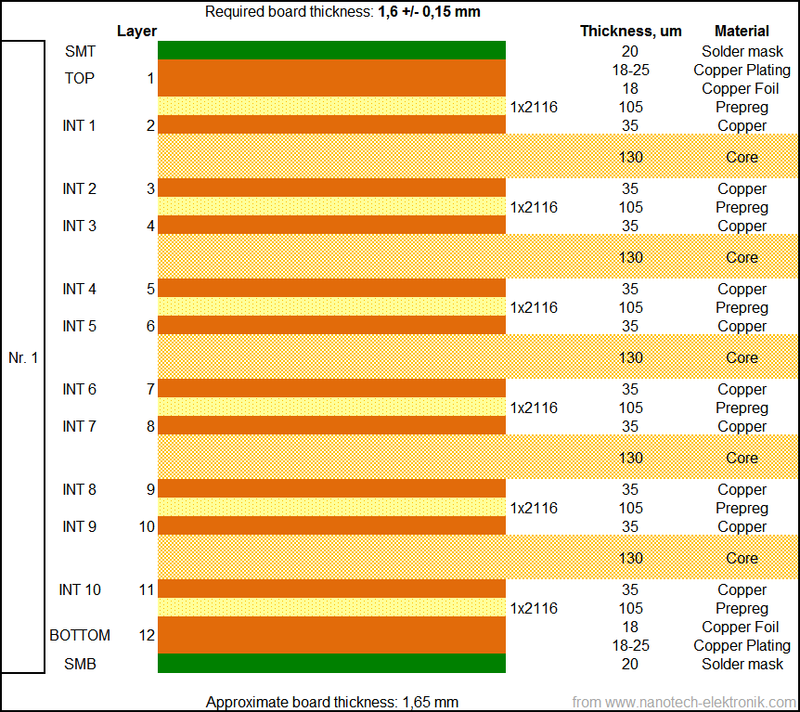 The need for planning the layer stack-up lies, on the one hand, on the technological capabilities of the production, and on another – on the requirements to the electrical properties of the printed circuit board. The latter include the impedance control, signals integrity, noise immunity and electromagnetic compatibility. Another important thing is the optimization of the layers stack-up and interconnections from the point of view of costs. 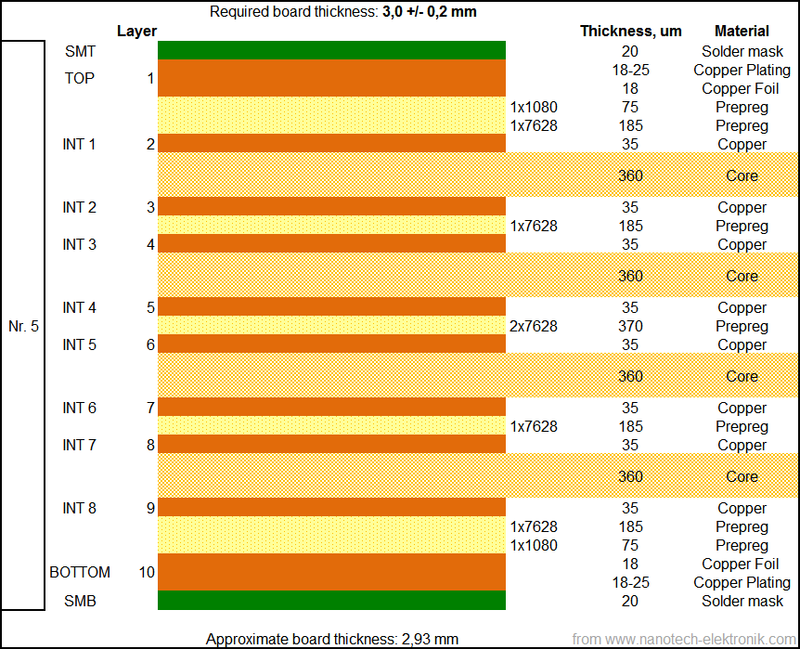 Depending on the choice of the printed circuit board structure the production costs can vary significantly. 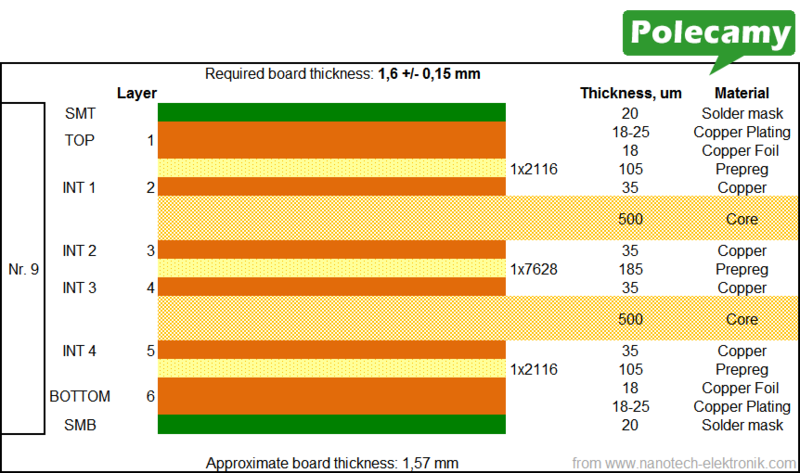 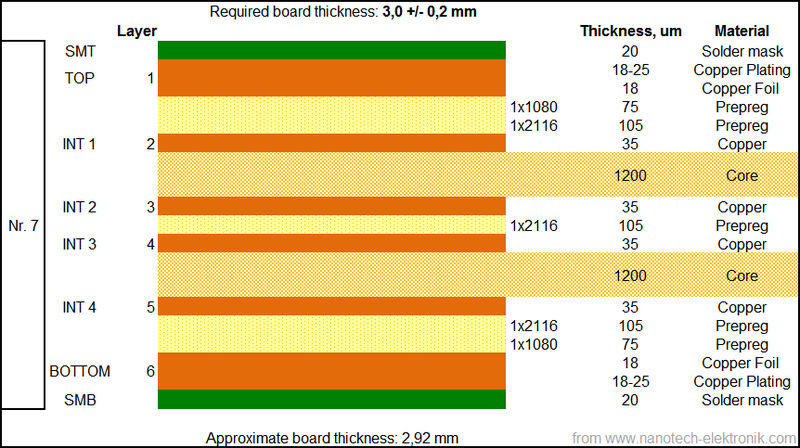 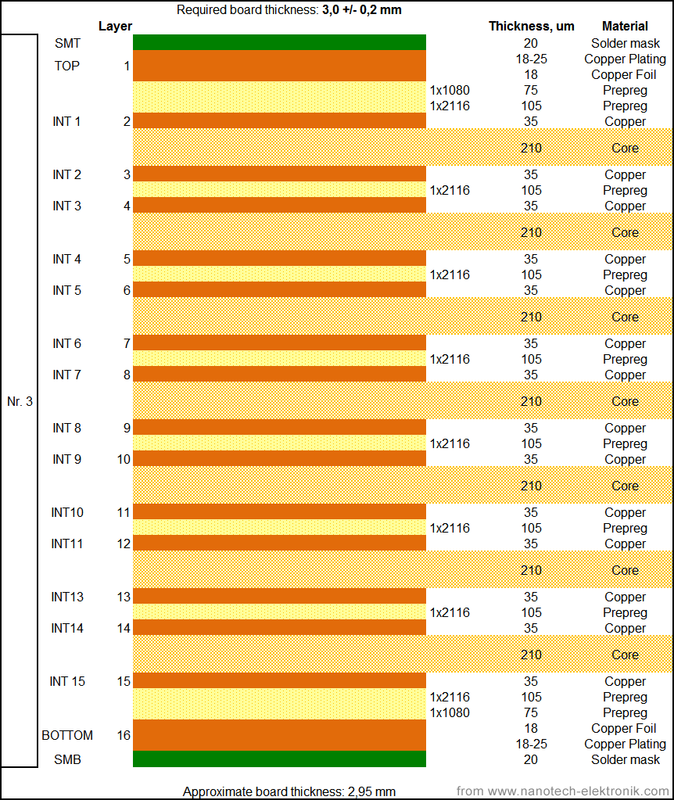 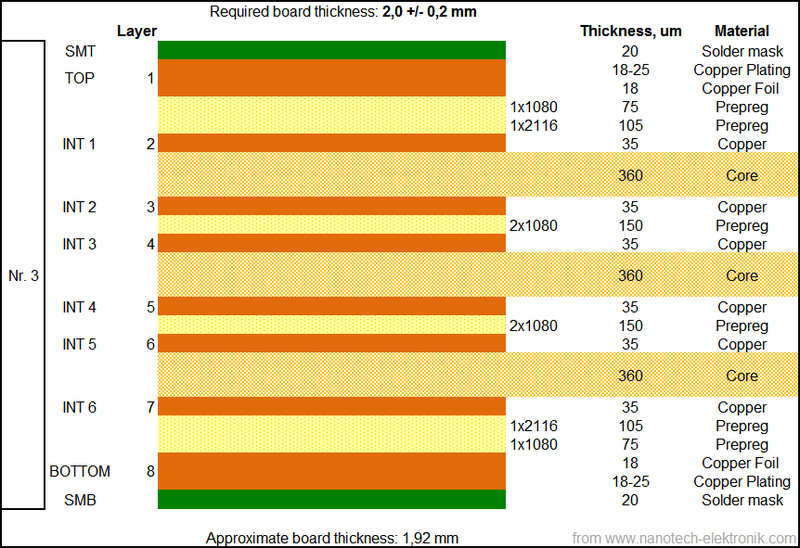 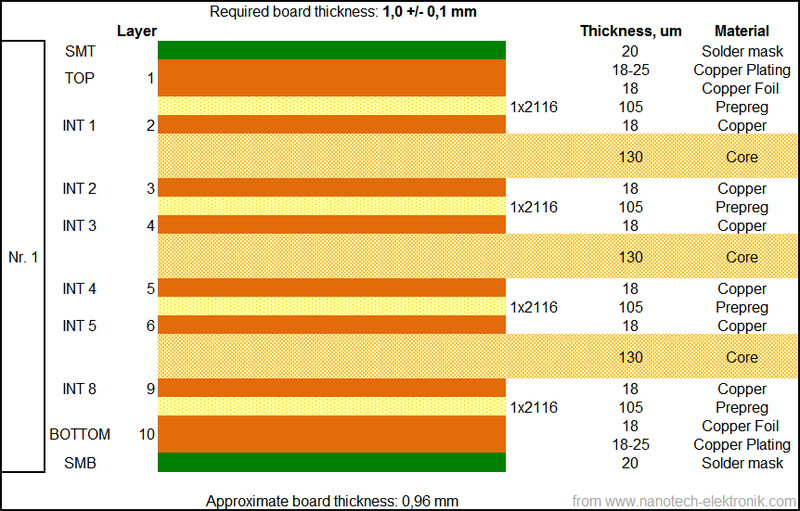 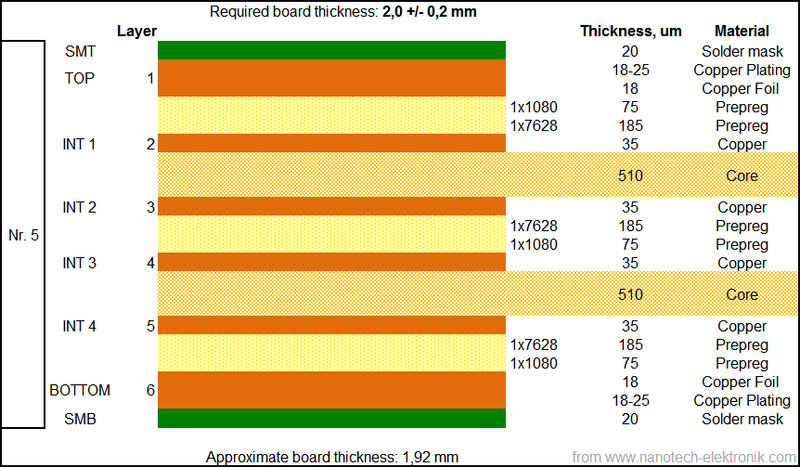 Below we put the most common designs of layers stack-up’s of printed circuit boards. 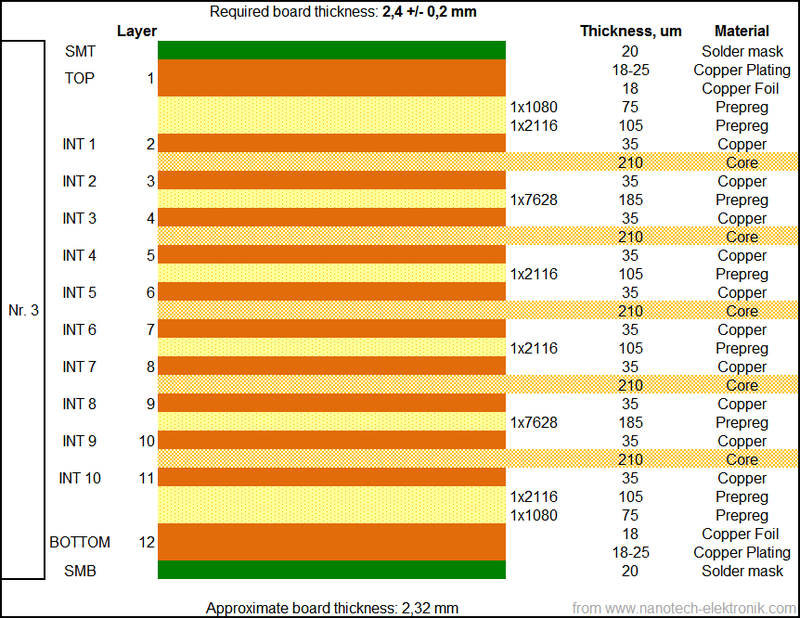 The optimal ones (cheapest) we marked with the icon "Recommended".